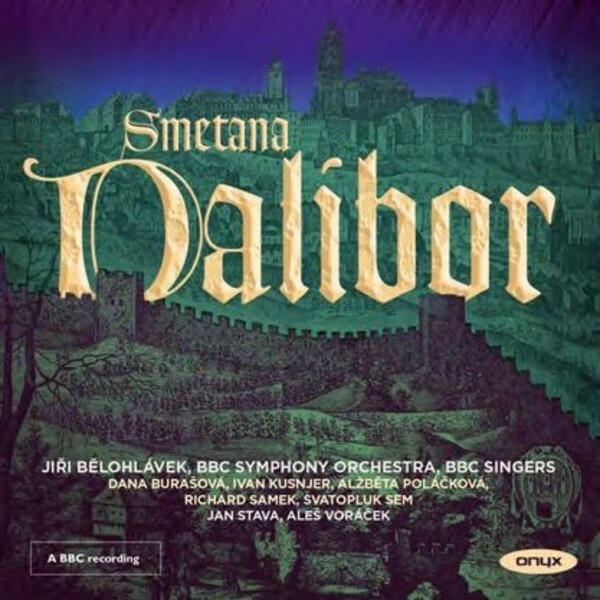 Smetana, saddened by Dalibor’s cool reception ('too Wagnerian' was one of the charges against it) always had faith that one day it would be appreciated and stand alongside 'The Bartered Bride', the work that overshadowed all his other operas to his great frustration. This superb performance of this rarely heard opera was recorded live in the Barbican Hall, London. Conducted by Jiri Belohlávek, the all Czech cast and the BBC Symphony Orchestra and BBC Singers gave a performance that impressed all present, and the critics praised the performance: "Smetana’s melodic invention is given full rein, with a rapturous second-act love duet as its high-point. Belohlávek’s conducting was warm and wonderfully spacious in those purple passages…the cast, all Czech, was a very fine one" (The Guardian).